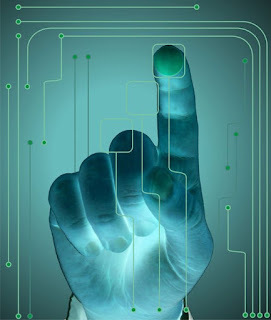 The global Gesture Recognition Market to reach USD 21.10 billion by 2024, driven by an increasing demand for automation to provide the convenience of use to the consumer. Other attributes such as seamless use, user-friendly interface and high accuracy are anticipated to propel the growth of the market over the projected period. North America was the largest market for gesture recognition due to the presence of a large-scale gaming sector. High demand for the latest innovations in digitalized electronics is anticipated to drive the growth. However, countries such as China, India and Japan are likely to drive the Asia Pacific industry growth at a CAGR of 32% over the projected period. Conventional technologies such as 2D are fast being replaced by 3D in numerous consumer applications such as televisions, gaming consoles and laptops. The availability of a large number of games with virtual & augmented reality is expected to propel the growth of the market. Gaming consoles accounted for over 50% of the market share, and this trend is expected to continue over the next few years. Gaming apps for sports and dating are expected to witness the highest growth on account of their ability to provide consumers with a real-life experience due to complete body movement mapped with skeletal models. Apps such as Tinder and Pokemon Go have gained tremendous popularity since their launch, and this trend is expected to continue over the projected period. Increasing integration of gesture recognition with augmented reality is poised to drive market growth over the expected period. Moreover, expanding application scope in automotive & healthcare sectors is likely to propel the growth of the gesture sensing industry. For instance, in May 2017, Skoda launched Karoq which boasts of various features that are controlled by gesture recognition. Companies such as Intel, Microsoft, Samsung, Sony and SoftKinetic are some the key players in the global touchless sensing industry. Some of these players including Samsung and Sony are incorporating the gesture recognition software in their products such as mobile phones and televisions. The global market is anticipated to witness growth over the projected period on account of rising consumer demand for consumer electronics. High disposable income of consumers coupled with frequent launches of advanced electronics is likely to fuel the growth of the market over the projected period.